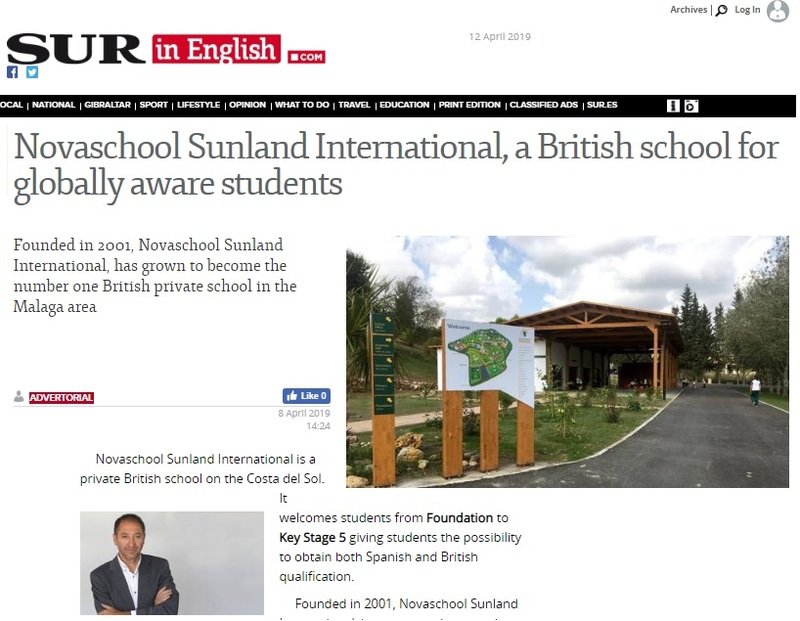 Sur in English newspaper has published this week an advertorial about Novaschool Sunland in which highlights the most important qualities of our school. 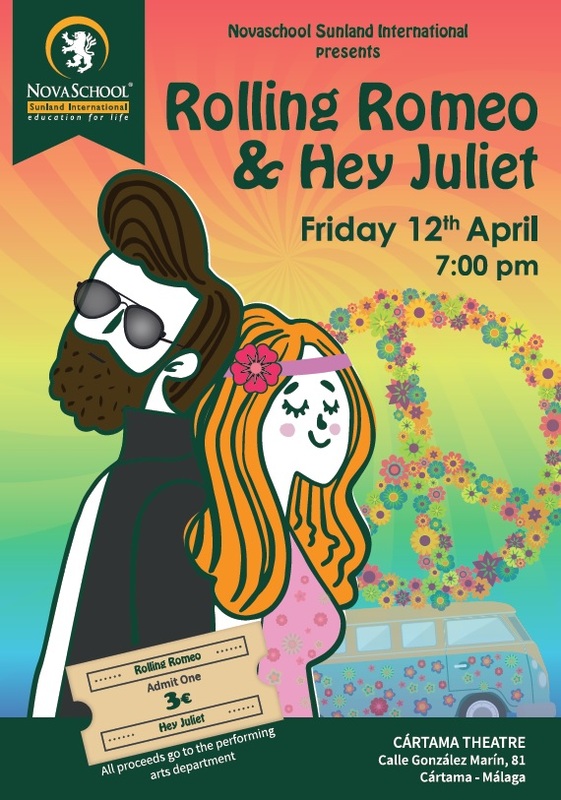 Next Friday on 12th April will take place the ninth musical representation organised by the students of Novaschool Sunland, with the collaboration of all families involved and the Municipal Theater of Cártama, where the event will take place from 7pm. The tickets are already on sale, available at the school office. Many efforts and trials make us think that … it will be a success! We are in luck at Novaschool Sunland for the second consecutive year that we have returned to get a position among the best international schools in Spain, as well as the newspaper El Mundo in its ranking of the top 100 schools. The good work of our teachers and the rest of the staff, as well as the effort of our students, are rewarded with this recognition that they show us as the best, together with a higher education school. Novaschool Añoreta, for the fifth year in a row, achieves a place in this qualification. This year has had an important weight the improvement of our facilities, the consolidation of our center in the Guadalhorce Valley, our differential values ​​as certified center of Cambridge and Edexcel; as well as technological innovations such as the use of the laptop in the classroom, or the new application that is in development to make the communication of the center with families and vice versa more fluid. Congratulations to the whole Novaschool family and to continue working to be among the best! 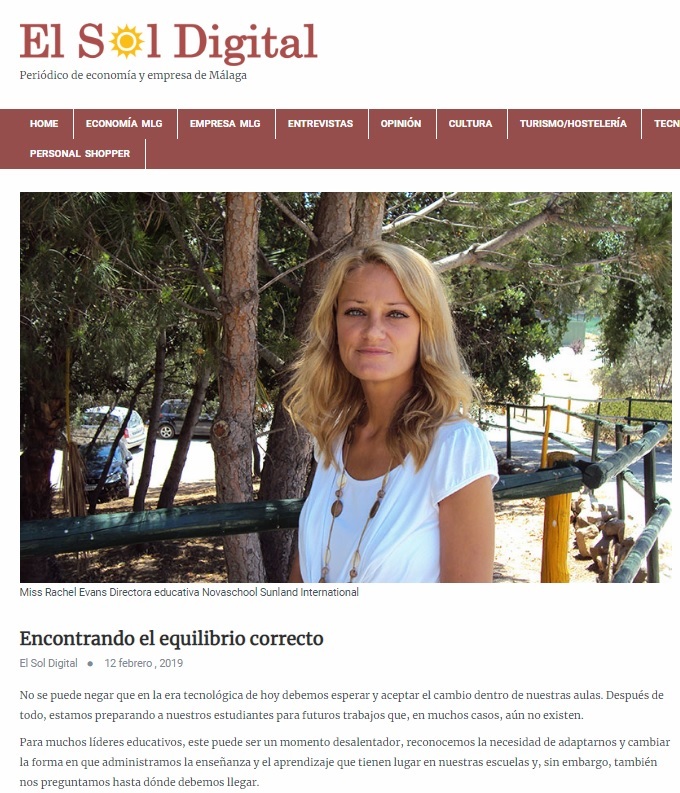 The principal of Novaschool Sunland International, Ms. Evans, has collaborated with the newspaper El Sol Digital for the publication of a very interesting and profound article on the technological era in which we find ourselves, and how it affects the educational field. In addition to carrying out improvements in the facilities of the center during the new works carried out that help responsible consumption. 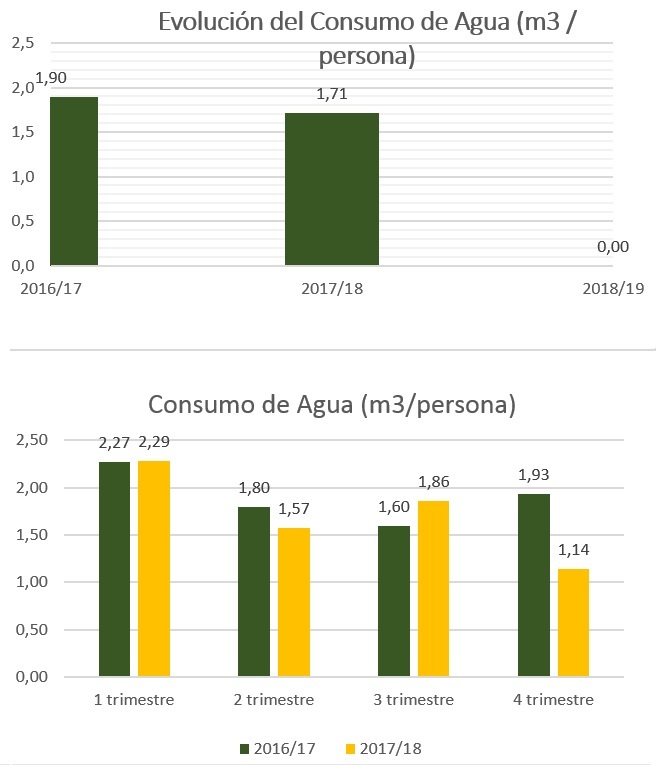 Today we want to highlight that we have exceeded our proposed goal of reducing water consumption (m3 consumed per person) by 5% compared to the previous year, result that we envisioned by the involvement of all staff and students who do the day to day in Novaschool Sunland. 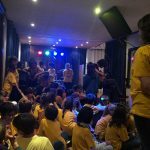 As every year, on the last day of each quarter and on a voluntary basis, students who wish, could go to school without a uniform and in exchange for one euro as a donation to Cáritas Cártama; The organization that helps the most needy families in the area. 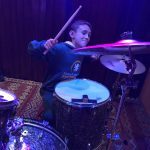 On the other hand, in some occasions, this time, specifically, in the class of Year 9, she collects money through the sale of cakes at the play-time to help raising this amount, with this activity in which the entire class participates. 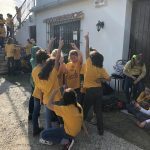 tries to emphasize the values of companionship and solidarity in a practical way and within an appropriate environment where their own schoolmates and teachers will accompany them so that they can enjoy this work of solidarity. The total collected for the class of year 9 was 35.16 euros, the total collected for the day without a uniform was 287.5 euros. 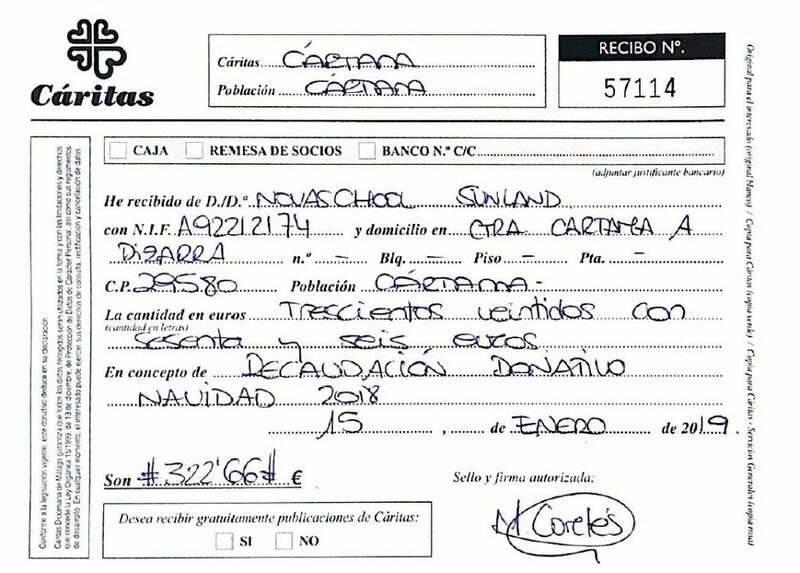 Reaching the amount of 322.66 euros, donation integra delivered to Cáritas Cártama. 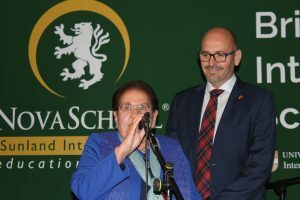 The event that was organised by Novaschool Sunland International with the collaboration of the Cártama City Council and Casa de Castilla y León Delegación de Cártama, held on 30th November, was a great success in attendance. More that 200 people participated in supporting the causes for which Concha Rodríguez (Madre Concha) and the Social Welfare area of Cártama work. Due to this level of participation, we managed to raise 5.241€ through tickets, contributions by fila 0, sponsors and the collaboration of those who attended this dinner. 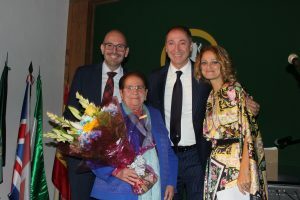 The funds that were obtained with this act will go on the social projects launched by Madre Concha and the Social Welfare area of the Cártama City Council, whose main objective will be to help the families at risk of social exclusion, people with difficulties and reduced mobility, and support for childhood cancer research. You can see in the following picture the mayor of Cártama, Jorge Gallardo, the Councilor for Social Welfare, Isabel Sánchez, Madre Concha, the CEO of the educational group Novaschool, Francisco Barrionuevo, and the representative of the management team of Novaschool Educational Group, Ana Mª Martín; in the act of giving that economic amount. Last September was announced the list of nominees for the best teacher in Spain of the second edition of the Educa Awards and two teachers from Malaga go to the final, being one of them Ali Bagherian, Secondary and Baccalaureate teacher at Novaschool Añoreta school (located in Rincon de la Victoria) from the 2002-2003 academic year, which also teaches the subject of Business Economics at Novaschool Sunland (Cártama) from the 2017-2018 academic year, as part of the specific phase to which you want to present the students to upload a note for access to the University. For 15 years, Bagherian has coincided with a multitude of students with whom he has shared experiences, and in which undoubtedly this professor of Philosophy, History and Entrepreneurial Culture has left an indelible mark. These same students have been the ones who have taken their teacher to this nomination since for these awards the teachers can not present their candidacy, they must be proposed by their students and / or former students, and / or by their families. Ali Bagherian is one of those teachers who make their students think and reflect, and as Bagherian himself states, “in a world where information abounds and also does so fleetingly, promoting critical thinking in the classroom becomes in one of the most important competitions ”. 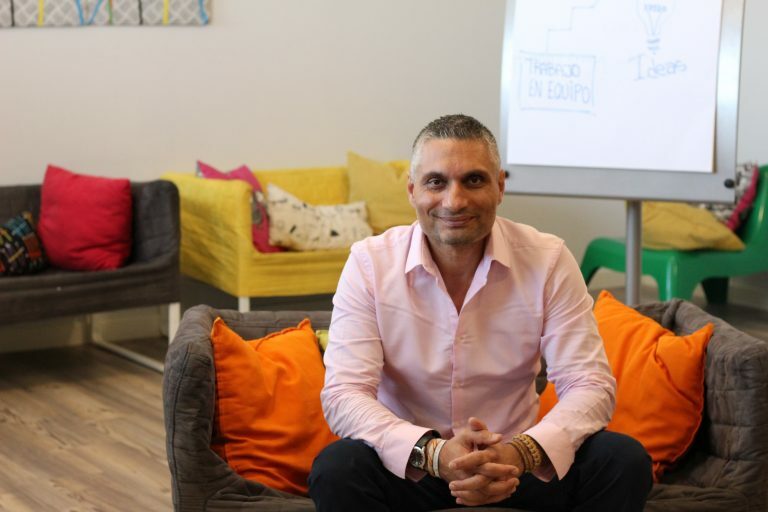 Last April, Bagherian presented with Francisco Barrionuevo, CEO and Novaschool economics professor, the book ” Entrepreneurial and entrepreneurial culture ” drawn up jointly by the two professors and which has been used in the past the classrooms of 1st of Bachillerato. In addition, in recent years Ali Bagherian has published more than 40 educational videos of great use for high school students and has a multitude of visualizations. The date on which we will meet the winners will be on January 10th, 2019. The awards ceremony for the Best Teachers will be held at the 2nd World Education Congress, EDUCA 2019, during the days 21st, 22nd and 23rd of February in Santiago de Compostela. 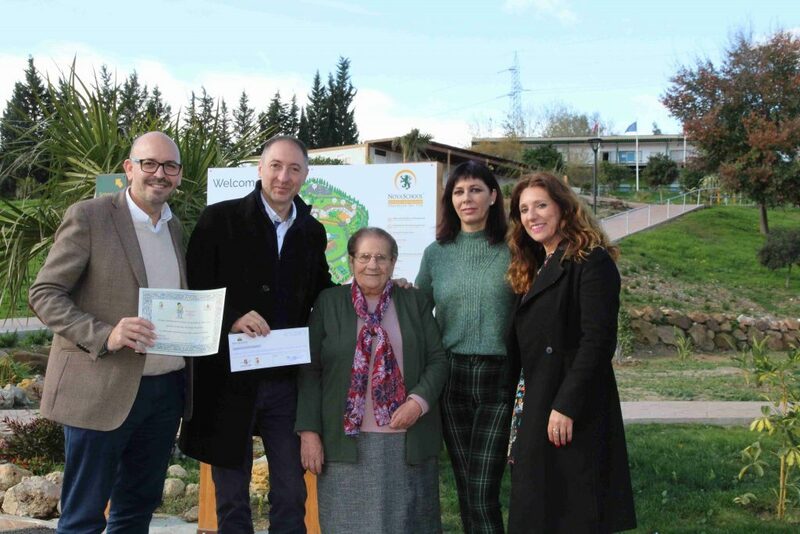 On 30th November we celebrated in Novaschool Sunland the charity dinner organised by the educational group and the City Council of Cártama raising funds for the Social Welfare Area of ​​Cártama and Madre Concha, founder of Casa Castilla y León Delegación de Cártama. We all came together to achieve one goal and … we achieved it! Together we raised 5,000€ through the sale of tickets, row 0, sponsors and the collaboration of those attending this event that has undoubtedly been an unique experience. 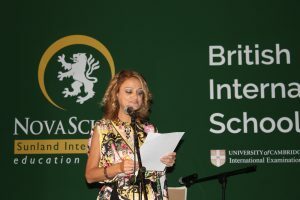 We witnessed very emotional moments from 8:30 pm that began the dinner, from the warm welcome of the Principal of Novaschool Sunland Ms. Rachel Evans and the interventions of the mayor of Cártama, Mr. Jorge Gallardo Gandulla accompanied by Mother Concha, thanks to the organisation of the event and to all the attendees who participated and collaborated in making this night possible; without overlooking the performance of our two students, Rocío Lapaz and Max Cossons. Later the live music was performed by the Malaga group “The electroduendes”, who undoubtedly finished entertaining the audience on this special night. In addition, participants could purchase art work by students of Novaschool Sunland. Thanks to all for making us spend an unique night and especially to Mother Concha for transmitting so much experience, kindness and affection. 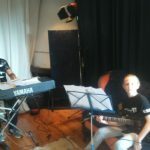 ‘The Sound of Sunland recorded their first Christmas Album at Flying Frogs Recording Studio. Get ready for it’s release! The Cd’s will be on sale during the KS2 presentation.